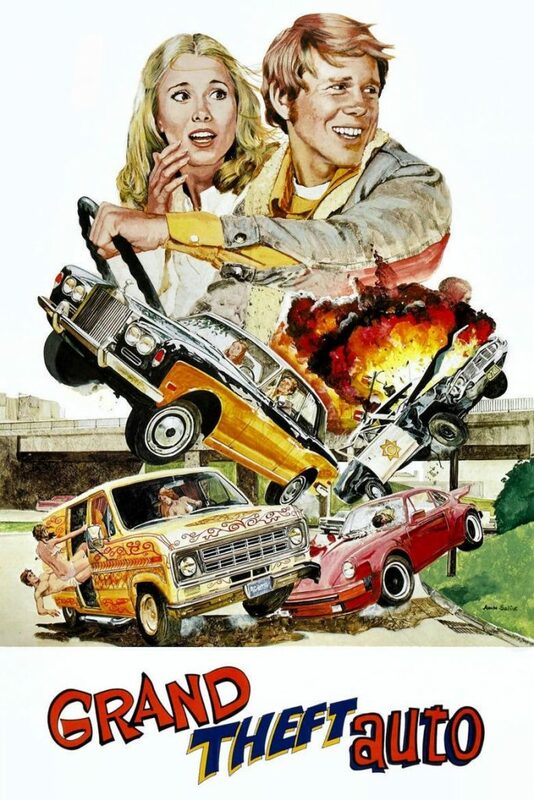 This movie will never be remembered as great filmmaking, but it’s sure to go down in history as an eerily accurate time capsule of the 1970’s. The seventies, a time when, despite the depressingly high crime rate, people left their keys in the ignition without giving it a second thought; when cars were stolen so often we considered them communal property. (By the way, if you’re ever the victim of a car theft, stand in the road shaking your fist as the car drives off, then yell ‘come back here!’ as loudly as possible. This is sure to get your car back. )The seventies were a magical time, when gubernatorial candidates wore jumpsuits without fear of ridicule and kept hired goons on retainer; when towns had only one radio station and we all listened to it; when whiny polo players were considered good catches. And the car chases! Every day and twice on holy days, my Dad would tell me. Many times, while driving to his job as Jack Lord’s shoe buffer, he would come across an impromptu car chase headed to Las Vegas or Tahiti or some other fun place and you better believe he joined in! He would be gone for weeks at a time but we always understood. Mom and I were never worried about him; we could follow his progress from the constant radio reports given by the DJ flying overhead. In the seventies, radio stations thought nothing of scrapping their entire playlist and sending up a fleet of helicopters manned by skinny DJs in smoked glasses to spend days covering a car chase while whole police forces sat idly by, except for that one wacky policeman who always seemed to show up carrying some personal vendetta against one of the chasers and was in way over his head but didn’t know it because he wasn’t too bright but we understood and we loved him anyway. Because it was the seventies.